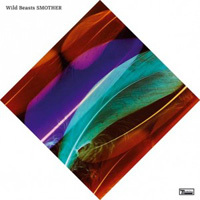 Hate’s probably too strong a word to describe my feelings on Wild Beasts’ Two Dancers — that would’ve required listening to more than half of it — but I can’t say the record impressed me. Smother has done the opposite. To be reductionist, the album sounds like the National fronted by Antony, or in this case, singer Hayden Thorpe. His quivering, flamboyant approach is tempered by co-vocalist Tom Fleming’s baritone, the timbre of which is so masculine you can practically hear his 5 o’clock shadow coming in. It makes for a shifting emotional dynamic that most bands lack, allowing for the music to avoid any particularly heavy lifting without its sameness becoming a chore. That’s not to say there aren’t moments of catharsis: :55 of “Loop the Loop” will leave you catching your breath, and the steady rhythm of “End Come Too Soon” carries as much tension as most episodes of MI5. (It’s on Netflix Instant and will make you wonder why you ever bothered with 24.) These are sensual, lovely songs, the kind of surely unfolding rock album I keep hoping bands like Elbow will make. With Sky Larkin’s Katie Harkin, one of indie rock’s most incendiary guitarists, joining the group for their current tour, it’ll be interesting to see how the band chooses to bring this album’s moody ballads to life; in the meantime, let Smother take a feather pillow to your year-end list.